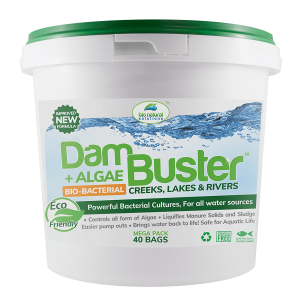 We have been using Dam Buster from Bio Natural Solutions for 18 months now. 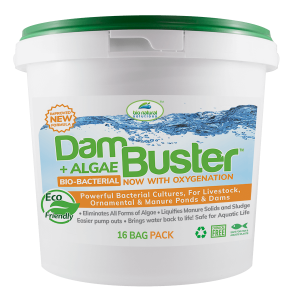 Before we started using Dam buster we were have serious algae problems in our water storage facility which was then creating major headaches in the filtration system of our irrigation. Our dam holds around 5 mega litres but has a surface area of around 3500 square meters and is fed by a milk factory called Fonterra, we receive what is called condensate from them on a regular basis and it is generally a good quality water source, it is classified as Class A recycled water. Being only a small storage facility in relation to how much we can irrigate each 24 hour period, the turn over in the dam is constant, but not enough to stop algae forming over the warmer weather. We have tried many different additives and formulas to try and combat the problem each summer, but many were not effective and cost prohibitive. 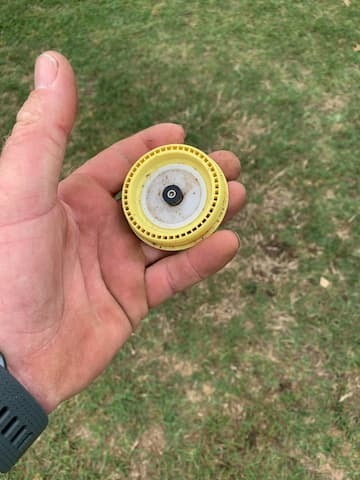 2 years ago the problem became that bad that we were having to dismantle sprinklers and clean out the filter in the heads after on 10 minutes of irrigation which meant 3 workers constantly work all day just to keep water on the course, it was at that time that I discovered Dam Buster. 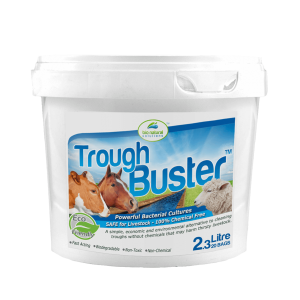 Within two weeks of commencing Dam Buster treatments the problem was on the improve and then only another two weeks the algae problems were no more. 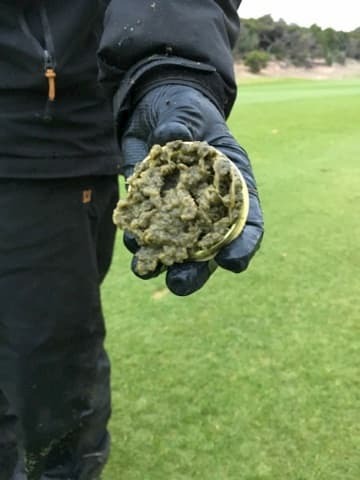 6 months previous to using Dam Buster we had also put in an aeration system to help alleviate the problem and although by itself I don’t believe this helped but in combination with the Dam Buster the aeration assisted. Before I was happy to give a testimonial I wanted to see how Dam Buster worker over an entire season. 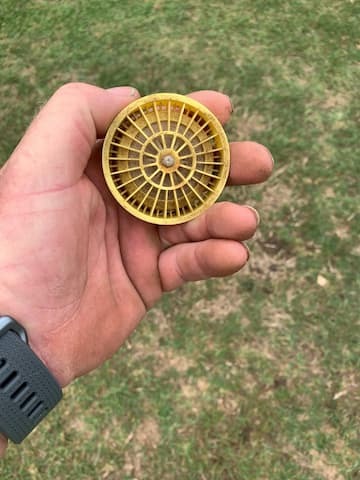 We have now gone through an entire irrigation system using Dam Buster, this year was on average warmer and we had more days of full sun, and the treatment with Dam Buster has been a complete success. We have experienced no algae issues at all this summer, not one filter has required cleaning, the dam is clearer and the water has no odour when irrigated. I have included some photos, taken at the same time in summer 12 months apart, the results are obvious.